This is the year that we will begin to see a vast awakening of our dear Star Children. The preparation period for the first wave is just about complete. They are now ready to begin to be known. It generally takes about 30 years for a “Christing” to develop, for a young person to realize what it is that he or she came here to do. Each of them have different gifts, and different perspectives on life. 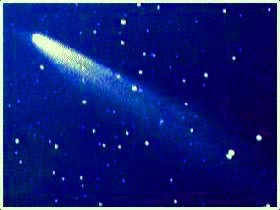 For those who haven’t encountered my writings yet, I define a “Star Child” as someone who came onto the Earth Plane through a particular Energy Gate which was symbolized, first by the appearance of the Comet Kahoutek in 1973, and was completed by the appearance of the Hale-Bopp Comet in 1995. Though the dates of their arrival are not really written in stone, these “upgraded” versions of generations X, Y, and Z came in (plus or minus) five years of those dates. They represent the appearance and rise of Meta-Human Consciousness in our world today—as seen in children (and upgraded adults) who have been “altered” through encounters with Expanded Consciousness and DNA. I especially wonder about the “its just not healthy” phrase at the end. When I hear it, my body recalls memories of denial and suppression that came at me in my youth, when I was budding in my cosmic awareness. My parents didn’t really know what to do with it all, so they played it down—directing my focus into “healthier” pathways. I went to school, cub scouts, martial arts, and I even attended church. But nowhere was there anything to nurture the impressions and intuitions that were coming up from within. Eventually, I simply put that part of myself to sleep. We have to sympathize with Mary and Joseph, back in their day. How do parents tell the world that they have just given birth to a Messiah? And further, how do they learn to deal with someone whose daily life is filled with “special” occurrences? Enquiring minds want to know! These same issues are being worked through in households all over the world at this time. In nearly every society, folks are talking about little “Messiahs” that are growing up in their midst. Of course, they are being discreet about it, remembering what the world did with the first one. These “New Kids” are awakening, and the whole world must prepare for what is about to happen. 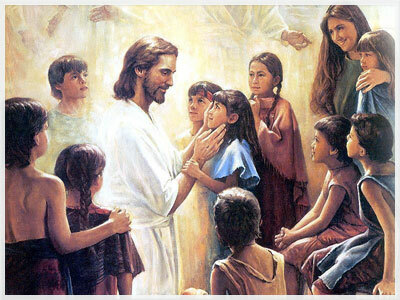 When the skeptics pose their questions, I do say that I hear them, but I doubt that the decision about whether or not to make these kids into Messiahs rests with us. Fact is--they already are Messiahs. Indeed, so are we all. The mystery of the Cosmic Christ is revealed in the fact that each of us, and all of us together, make up the Second Coming of Christ. And our Planetary Oneself is also the new embodiment of the Buddha, Krishna, Brahman, The Goddess, and every other type of Expanded Being, as well as a whole host of “normal folks” as well. We are all of it, though most of us are not ready to consider that yet. Universal Oneness. But Star Children do not carry the same restraints for their consciousness that bound me up as a child. Not only are they ready to consider what’s happening, they are able to carry all the energy that goes along with it. The clarion call that sounds in their hearts is too strong to be dampened by the religious right, or diagnosis of “behavioral dysfunction” from the High Priests of Health Care. Their awakening spirits are irrepressible, flowing like rivers of knowledge and power that cannot be contained for much longer. They have become keepers of all this power that the older generations have chosen to pass by. We were afraid of it, so we let it go. Our children have just picked up on the task that we have left for them. The reason Meta-Human Kids are so dazzling is: their elders choose NOT TO BE. We are too threatened by our own internal power and authority, except the kind that money can buy. Hasn’t it always been true that children tend to take on the “shadow aspects” of their parents and teachers—the hidden themes and issues that they/we wish to deny? Adults who choose to finally take up the mantle are referred to as “Star Elders.” They rock! And they are equally part of this grand unfoldment to come. But business is not meant to be usual! Our world is changing, rapidly! And the Dropping of the Veil is not an injury or a disease. It is an unfoldment. A budding flower. These follks are dropping a cocoon. They are transforming. A traditional “Shamanic Illness” is still quite prevalent in the Indigeous Tribes, and those folks can easily recognize a newly transforming “Medicine Man” in their midst. In those days, the Shaman would go into the presence of the Great Spirit, and represent all the people. He would receive initiation of soul and body, and then bring these gifts back to the “normal” citizenry. To move into the “radiance” of Expanded Perspective requires a change of heart and body. It also carries with it some tell tale signs, which do not escape human notice for long. Powers like telekinesis, telempathy, telepathy, psychic awareness, astral travel, and intuitive healing are just a few. Many speak freely and openly with Spirit, and channel forth with messages of hope, transformation, and worldwide expansion. And this is only the beginning. But it is a beginning. And where else would we go, to celebrate the awakening of Earth’s Magical Child than into the presence of our own Next Generation, as they reflect back to us how “special” we all are? Being a Messiah is tough work, but somebody has to do it! In fact, everyone will soon be doing it! At this time, I am busy with the process of meeting and speaking with Star Children, in many parts of the world. Are you one? Do you know of one nearby? Write and tell me about it. We at Reconnections love to hear the stories, and see the patterns unfold. We adults have spent so much speaking at our children that many of us have forgotten to listen to them. They really have quite a bit to say to us, if we take the time to hear. Recently, I have been quite intrigued with Steven Spielberg’s TV Mini Series called “Taken.” In those shows, he portrays the evolution of a perfect hybrid being, a blend of Extraterrestrial and Human DNA. Her name is “Allie,” and she is a media foreshadow of what is yet to come. Many of us have an “Allie” in our midst. We love and admire her, and we draw upon her gentle power for strength and resolve to meet the needs of an expanding future. Are we ready to arise from slumber, and shake off our dreams? Our children are. They are ready to play, stretch, grow, and flourish in a New Age. Planetary Activations now shake us awake, and our Conscious Reconnection with All That Is will not be far away. We will each go through this process in our own way. And many will benefit from watching our Star Kids and Star Elders go through that Cosmic Gateway, right into the presence of the ‘rest’ of who and what we all are. Copyright, 2003, by Daniel Jacob. All Rights Reserved. May be copied and shared for purposes of personal growth and/or research. All reproduction for profit, by any means, requires the written permission of Reconnections, Inc.